- Sometimes simple is best. These charming drops have a minimum of twists and turns, but the overall effect is simply bewitching. Earrings measure 1 3/8" tall, including hook. 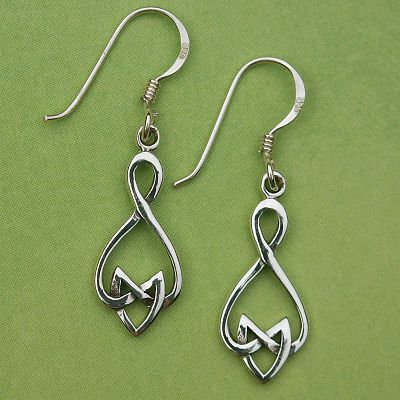 Do you have any other questions about our Silver Celtic Arrowhead Earrings? I bought these for my wife and she loves them! Beautifully crafted and well made at a great price. Fast shipping, as always. I received these within two days of ordering them. They were the perfect gift. I so love these earrings! I have owned them for over a year, and they are still perfect. They are subtle but intriguing.